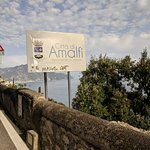 Tour including driver (without guide), your tour will commence upon pickup at your hotel in Naples, Hotel pickups commence prior to 9:15am, exact pickup time will be advised on reconfirmation. Tour including driver and guide, your tour will commence upon pickup at your hotel in Naples, Hotel pickups commence prior to 9:15am, exact pickup time will be advised on reconfirmation. Tour including driver (without guide),exit left out of the station. Your pickup point is by the door of the Star Hotel Terminus at 9:15am. Driver will display a sign with lead traveler's name on it. Tour including driver and guide, exit left out of the station. Your pickup point is by the door of the Star Hotel Terminus at 9:15am. Driver will display a sign with the lead traveler's name on it. See the stunning Amalfi Coast at your own speed on this private, full-day trip from Naples. 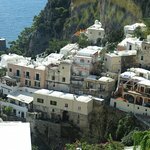 After creating your own itinerary, sit back and enjoy as a private driver takes you along the coast, making stops in the most beautiful villages in southern Italy: Positano, Sorrento, Ravello and Amalfi. Get a true taste of the region’s rich history, architecture, cuisine and more before concluding with drop-off back in Naples. 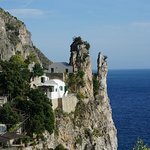 Enjoy crafting your own travel itinerary along the Amalfi Coast without worrying about the logistics on this private day trip. 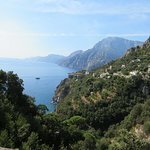 With the help of a private driver, explore as much as you’d like in Sorrento, Positano, Ravello and Amalfi, beloved for their stunning views of the coast, vibrant architecture and small-town charm. Check out the Itinerary section for more information on each of the towns. Awesome customer service- and Giovanni was the best!!! Great Tour!!! Second time with them! HIGHLY(!) recommended!!! 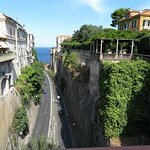 Loved our day along the Amalfi Coast with Alex our guide and Chero our amazing driver. This is a great way to see the coast and get a feel for the cities. Highly recommend this excursion. 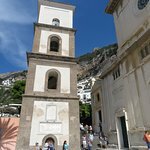 Get quick answers from Private Tour: Sorrento, Positano, Amalfi and Ravello Day Trip from Naples staff and past visitors.